Despite what a friend said last year about 2010 being a bad year for music, I thought it was a good year. 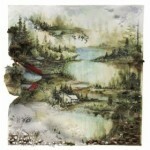 Maybe that’s because Mumford & Sons Sigh No More and Arcade Fire’s Suburbs are 2 of my favorite albums. In fact, I would argue that 2011 was no better than 2010, and in some respects, a little worse. I don’t think there was a stand out album this year. There were definitely some good ones, but nothing grabbed me quite like last years albums did. 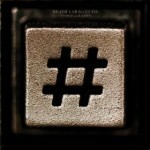 There were several good albums that didn’t make my top five…my Honorable Mentions if you will. They include in no particular order: The Black Keys – El Camino, Sigur Rós – Inní, The Decemberists – The King is Dead, Radiohead – The King of Limbs, and The Poison Tree – The Poison Tree. One album, in particular, was good, but didn’t quite live up to expectations, Coldplay’s Mylo Xyloto. And there was one album, that for the life of me I can’t quite figure out why it’s included in most everyone’s top 10 list – PJ Harvey’s Let England Shake. I thought it was a contrived, over sold, preachy, screeching mess. My top five this year leans toward the somber and sad, with one exception. My list is varied and very different from last years list. But like last year, I’m including an album that might incite a little ridicule by my friends. Oh well, I liked it. 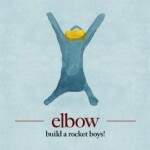 #1 Elbow – Build A Rocket Boys! I am amazed at how this album has been left off list after list for top albums of the year. Maybe it’s because Elbow doesn’t get much play here in the States. I found Elbow, or maybe they found me, while living in the UK. Their previous album, The Seldom Seen Kid, was really good and was met with critical acclaim – in the UK at least – but Build A Rocket Boys! is exponentially better in my opinion. It is melancholy and somber, yet inspiring and uplifting. With songs like Neat Little Rows it is anthemic, and it is reflective with The Night Will Always Win. The lyrics are tight, with each song telling a story. The music doesn’t get in the way, but is good enough to stand on it’s own. I simply love this album. And let me say a few things about the album’s best song – Open Arms. There are very few songs that extend beyond themselves…that move you at your core…that touch your soul…that become part of the story of your life. Until Open Arms the only song that I would put in that special category was U2’s I Still Haven’t Found What I’m Looking For. This song, this year, was for me. It is me. It is both the man I am, and the man I hope to be. In a year that was undeniably difficult for me this song brought me to tears, and face to face with God. Lyrically it captures the story of the prodigal son, found in the Gospel of Luke, chapter 15:11-32. It tells the story of a community that welcomes back with open arms the man that once left them. This community, in celebration, reminds the man of the boy he used to be, and says “It’s okay, you’re home, and you’re accepted.” I’m posting the lyrics below for you to read through, but if you have $5.00 go buy the album on Amazon, or just spend 99¢ on the song. As always, I’d love to hear your opinion, and your favorites this year. Well, this year was slightly better than last. I will post my top 5, but I am certainly glad to see a lady made into your top 5. That alone makes my year. I thought you gave up after The Cranberries. Furthermore, I’m not necessarily fit to comment on this post as I only have two of the albums, downloading Elbow only after seeing this post and giving a listen. While there are some brilliant songs, the jury is still out on your numero uno. That brings me to one of your albums that will fall in my #1 or #2 slot. I love it when an artist reaches deep down and comes up with something that is defining. Whether it is a completely new sound, a well written song, or breaking new ground, these albums only come along once or twice for the artists that are able to enjoy that kind of success. Examples would be Joshua Tree for U2, “O” for Damien Rice, or I Walk The Line for Johnny Cash. 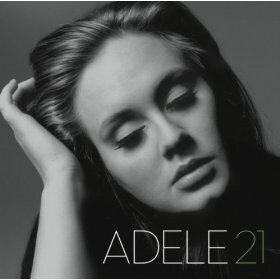 Adelle’s 21 is the best Album I’ve heard in a very long time. From the music to the lyrics, it’s simply a masterpiece. 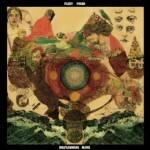 This album is defining. Amy Winehouse has nothing on Adelle, it’s as simple as that. I hate to even say it as she is a mainstream artist, but I just can’t turn it off, and I love every song. Thanks for posting; I look forward to spending some time listening to the other three albums!